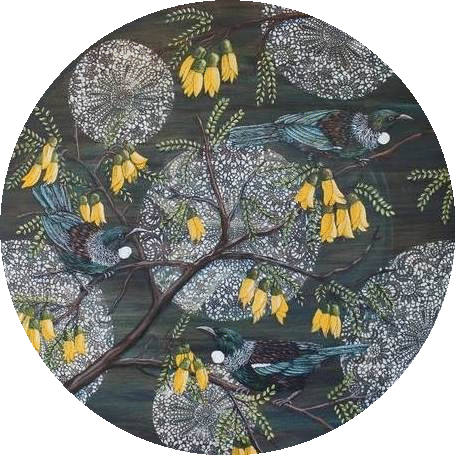 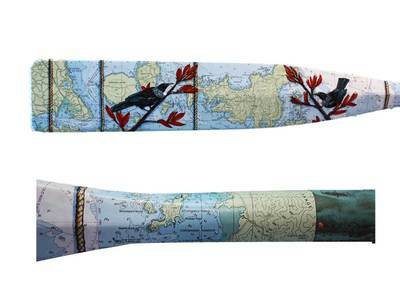 Justine Hawksworth is an Auckland based artist working from her studio in Mount Eden. 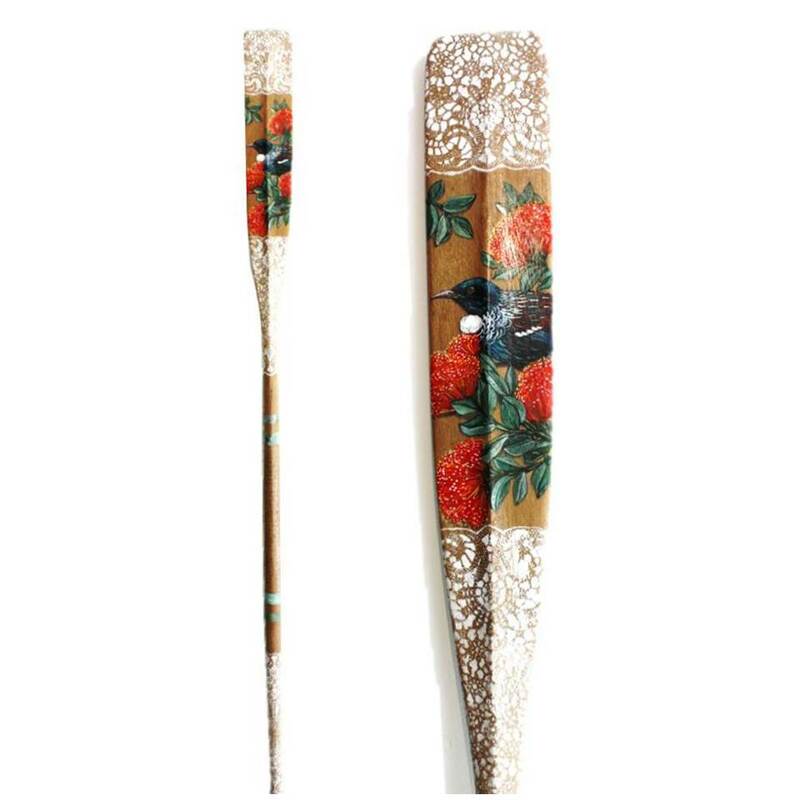 Her work seeks to resurface memories of childhood summers. 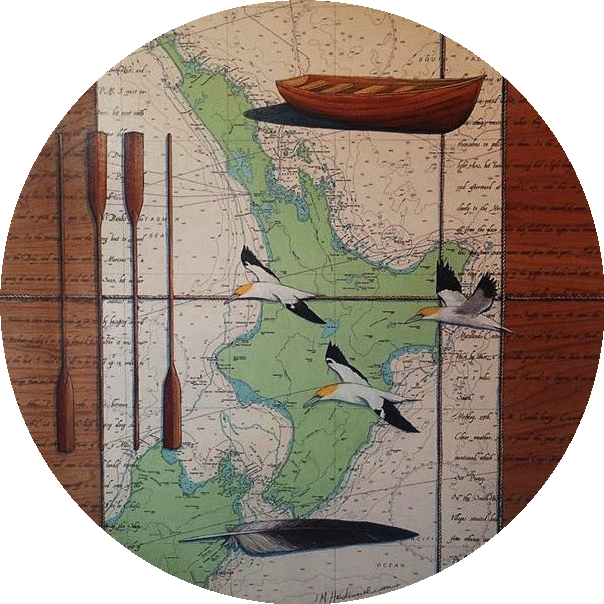 Hawksworth's practice is quintessentially kiwiana. 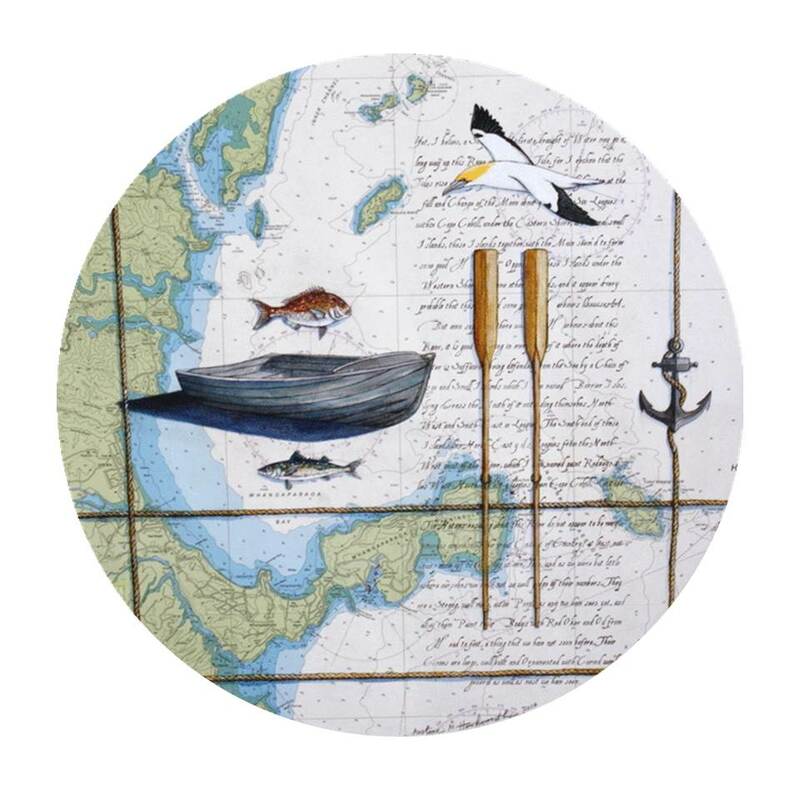 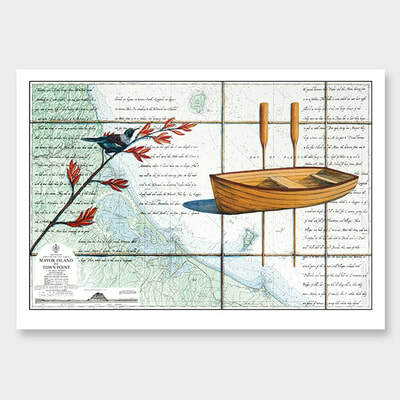 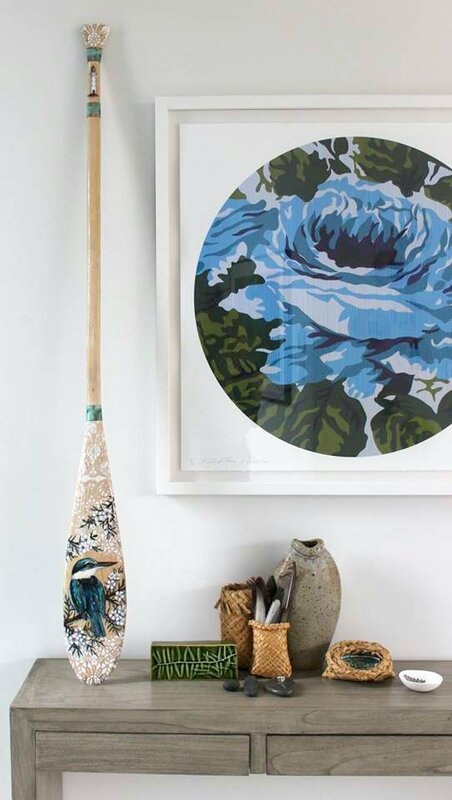 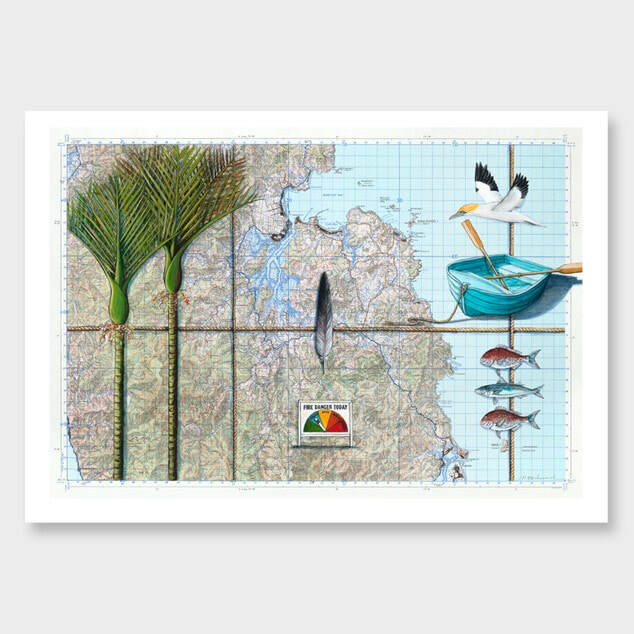 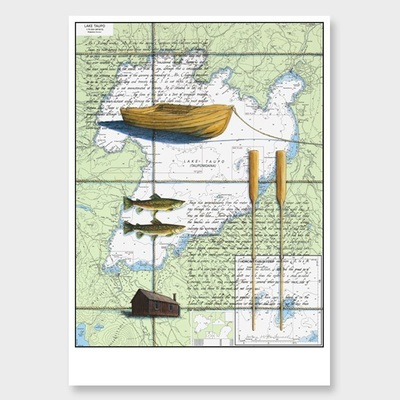 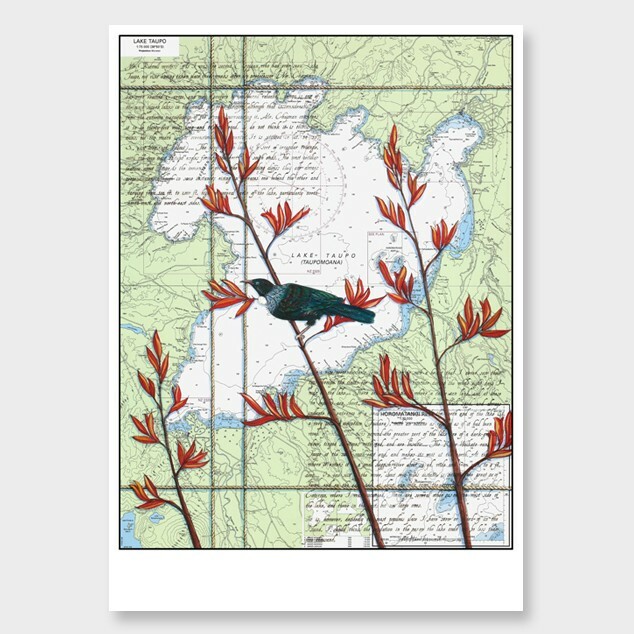 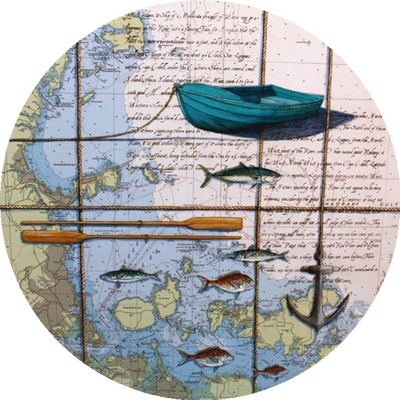 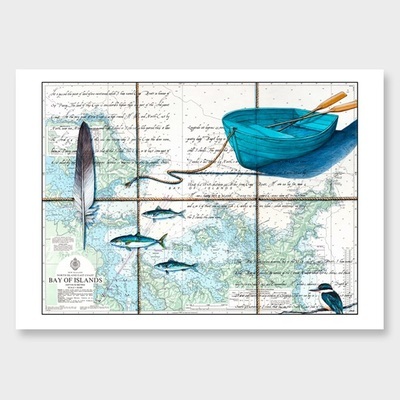 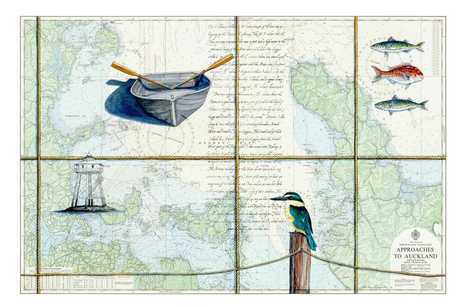 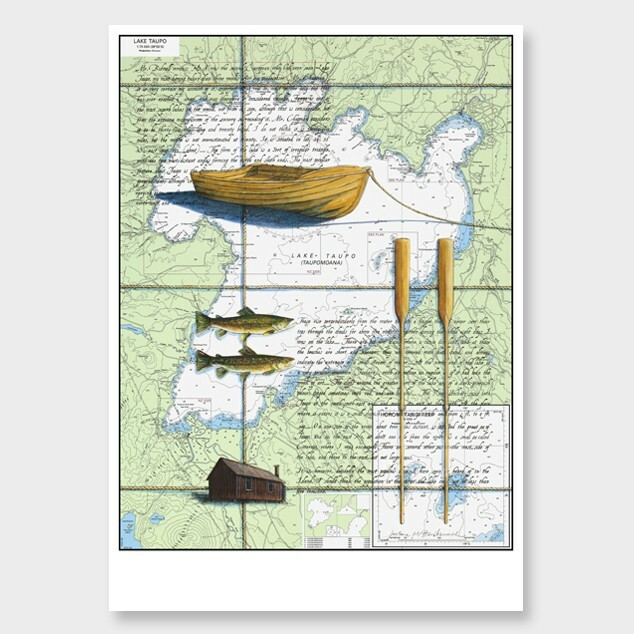 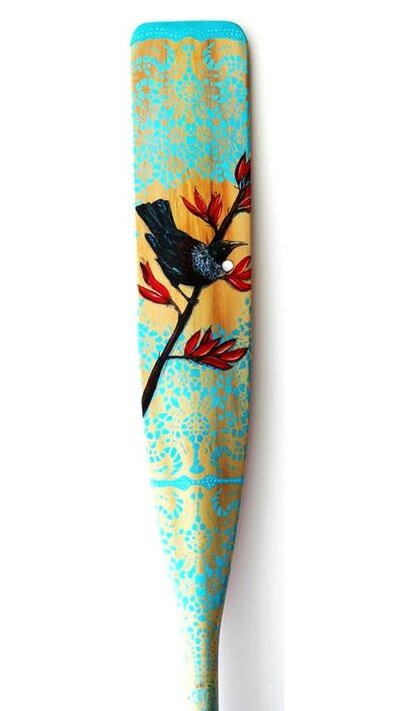 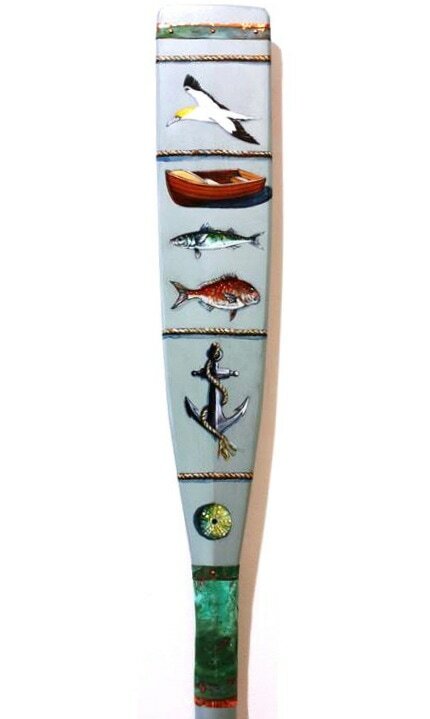 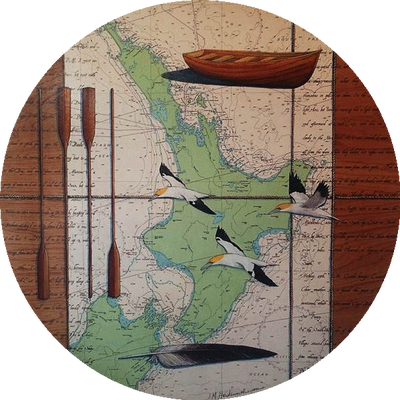 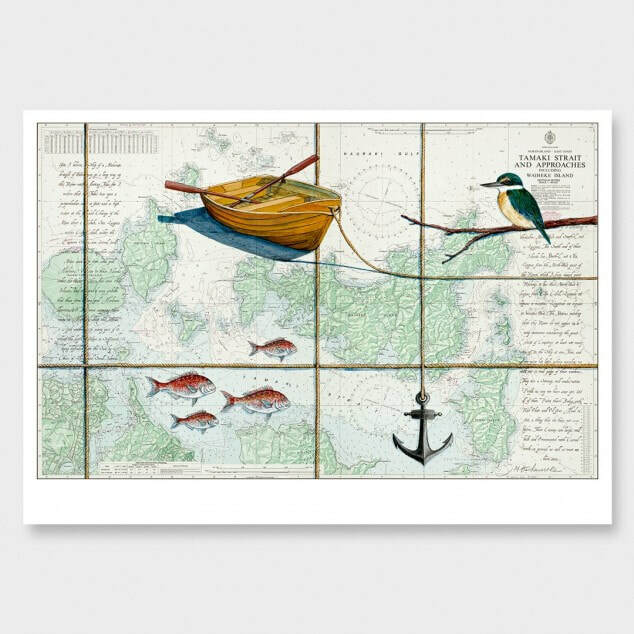 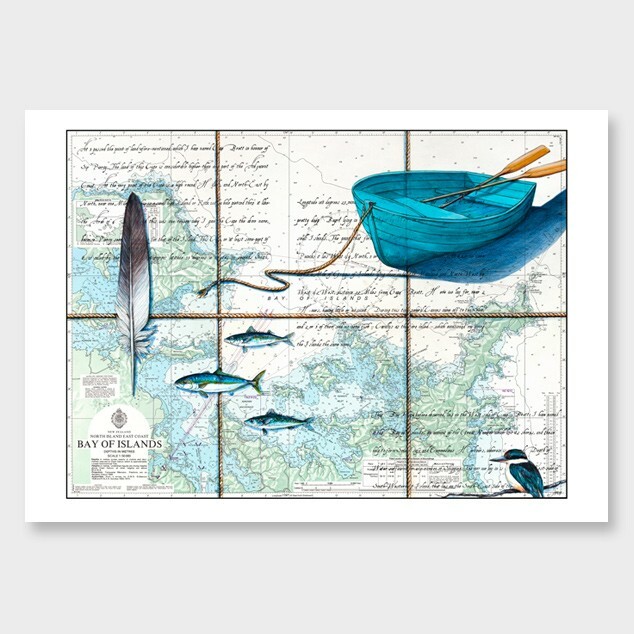 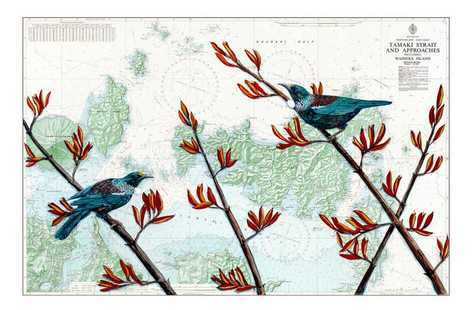 Using recycled marine charts as her inspiration and her backdrop, the artist carefully illustrates classic icons from the kiwi summer onto the seascape - dinghys, tui, snapper, nikau and kina. 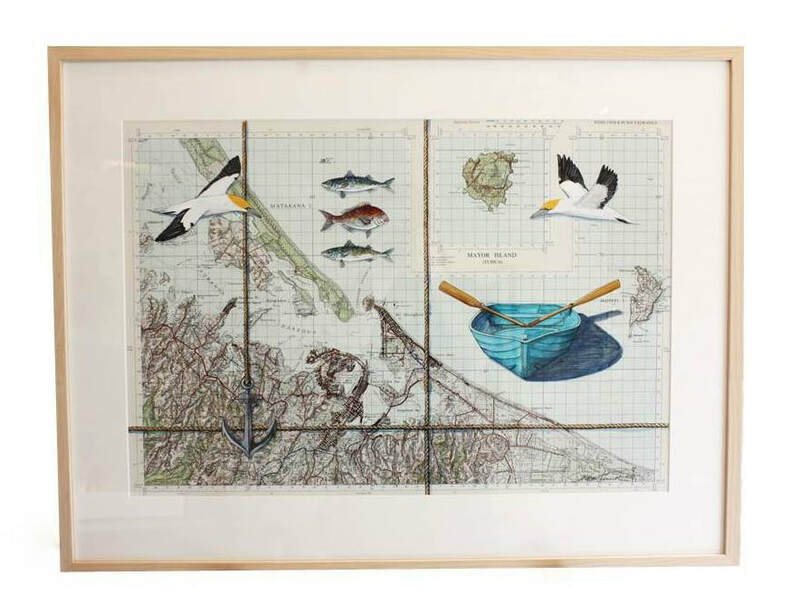 These drawn works celebrate the beauty of the everyday, those things in nature which us locals may take for granted. Hawksworth works predominantly in acrylic and pencil and there is a charming quality to her illustrative style. Justine Hawksworth graduated in 1992 from Elam School of Fine Arts with a Bachelors Degree majoring in Applied Design. 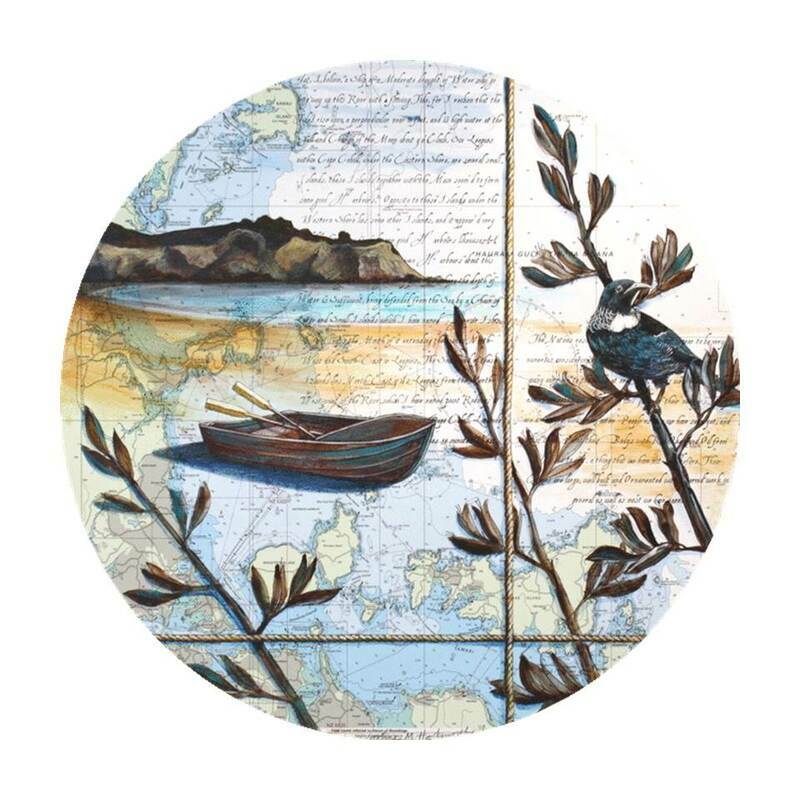 In 1996 she attended Auckland College of Education to gain a Diploma of Teaching (Secondary). 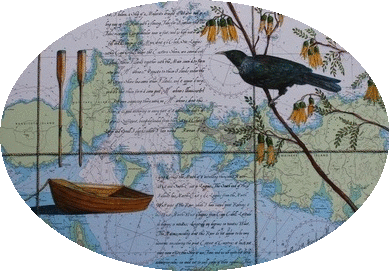 She subsequently taught Art and Design at Macleans College, Bucklands Beach, Auckland. Justine is inspired by the 'small' things that make up the greater New Zealand, the beautiful things that are so often missed and yet those things that are also gathered for the window sill of the typical kiwi bach.